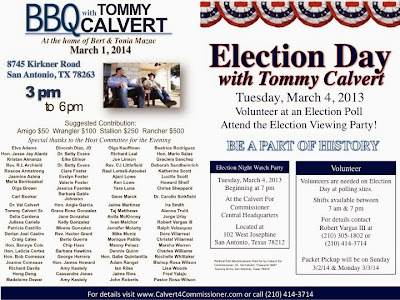 BBQ with Tommy Calvert, (3-1) from 3-6 p.m., 8745 Kirkner Rd. Election Day with Tommy Calvert, (3-4) @ 102 W. Josephine @ 7 p.m. 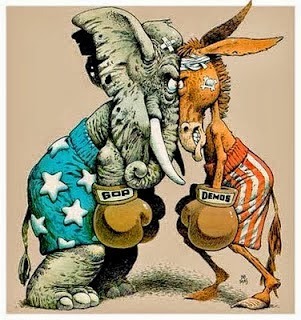 The Jefferson United Methodist Church will have Nico LaHood (D-San Antonio) share his vision for the District Attorney’s office and will entertain questions. Interviews will be done on a first come first serve basis, please contact Steven Zumaran for further information.